If you are a long time reader of my blog, you might remember that Turtlegirl had the opportunity to use and review Middlebury Interactive Languages in the past. She studied the 1st semester of High School French 1 during in her junior year and then we had the opportunity to take semester 2 in her senior year. Supergirl was a tiny bit jealous. She wanted her own online interactive course like her twin. This time around she got have her own course. But she didn't want French. If you know her, you know what her favorite language is! 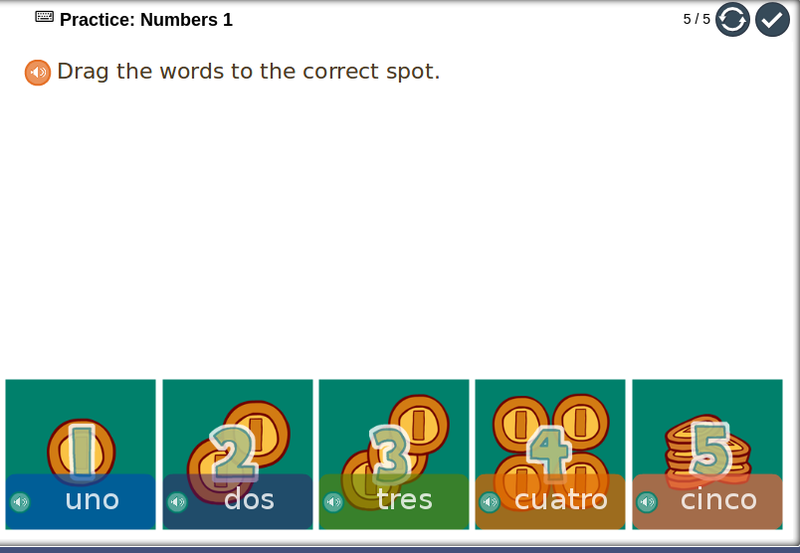 It should be no surprise that she picked Elementary Spanish 1 grades K-2. Unlike the Middle School and High School courses which are sold as Semester 1, Semester 2, or Both, this level of Spanish is only available under the Both option and includes the full year of course work. 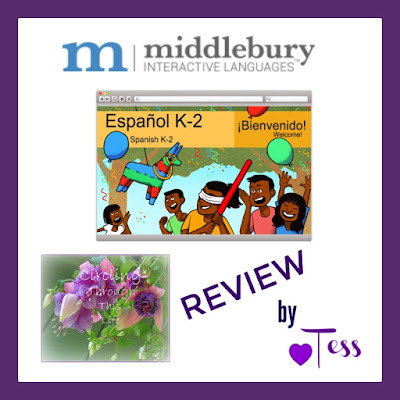 Like the Middle School and High School courses Middlebury Interactive Languages offers options for With Teacher Support and Without Teacher Support. Homeschool Review Crew members were given courses Without Teacher Support. At this level students are only expected to complete about 2 lessons per week. This would mean completing each unit in about 3 weeks. I like this gentle slow approach as it allows Supergirl to incorporate what she is learning into her personal vocabulary. She is just as likely to tell me good bye in Spanish or in English and during our math lesson on reading graphs she counted objects in Spanish. The program includes 12 units. Elementary Spanish 1 Grades K-2 is fun and engaging. Lessons are interactive and include audio instructions. The student does not have to read in English or Spanish. Children should be comfortable using the mouse to click and to click and drag. Though reading is not required, the Spanish words are presented in written form. I like that as Supergirl can begin to recognize the written language. Activities do not involve reading. Some activities are labeled as Explore, Practice, or Speaking Lab. Explore activities involve clicking such as the "coloring pages" activities. 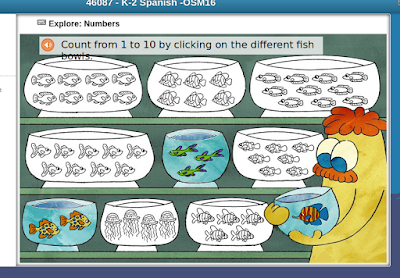 For example in the Numbers unit students click on the fishbowls to color them while the program counts in Spanish. Practice Activities tend to involve clicking and dragging to match pictures to the vocabulary. I really like this aspect because it means Supergirl can be very independent. She can click the sound symbol to hear the vocabulary word and drag it to the correct picture. These Practice Activities are automatically graded. Here is the one she completed for a lesson in the Numbers unit. Speaking Lab activities allow students to record themselves. Listen to the Spanish vocabulary word, then record saying it. Listen to your recording. If it doesn't sound quite right, try again! This activity must be graded by a teacher so without the With Teacher Support option this is not graded, however, the program does automatically grade participation. Students can get credit for that. I do not worry about grading at the Elementary Level in my home school but I did use the auto grading and participation features for my high school student when she used the High School French program. Supergirl enjoys using the computer though she doesn't care for the speaking the lab exercises but I find them beneficial for both of us so we take turns. The last lesson of each unit reviews the materials and students take a quiz. 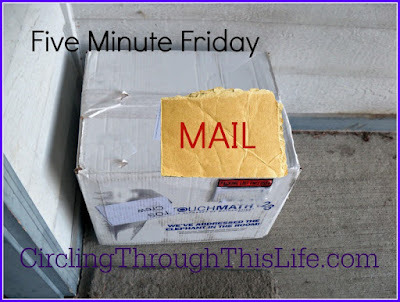 This lesson also has a "worksheet" that can be printed out. This is a page that student can use to draw a picture that represents the vocabulary from that unit. Again no writing involved. A second print out is available as well. This is a coloring page and is a black and white image of the Exploring activity. Each Unit uses an authentic story from a Spanish speaking country to introduce the vocabulary. These stories may be a myth or a legend such as how the ocelot gets his spots. The stories are presented as videos but the visual aspect are like a blend of 2-D animation with still drawings. It reminds me a bit of listening to the story being read while looking at the pictures of the book only sometimes the pictures move. I do wish that the story summary with explanation and the vocabulary sheets were available in the first lesson of each unit as well as part of the review in the 6th lesson. All of the vocabulary, songs, and stories are linked in the Welcome lesson but I would love a reminder on the Introduction screen for Lesson 1 of each Unit. This would help me as the teacher. 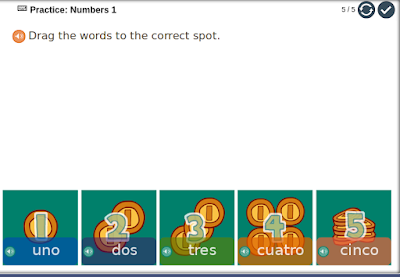 This is a wonderful, fun, interactive way to teach Spanish through immersion. Middlebury offers German, French, and Chinese in addition to Spanish and all for grades K through High School so be sure to click on the banner below to read more thoughts from Homeschool Review Crew Members. I love to cook. I enjoy getting creative in the kitchen. But sometimes I am too tired and lately my family has been too busy. We were eating take out and frozen pizza way too often. Many evenings I am just too worn out to stand and chop onions or brown hamburger even to make something as simple as sloppy joes or tacos. 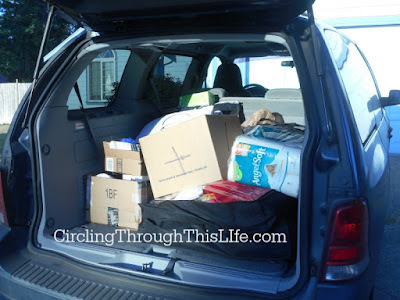 Just when I was reaching the breaking point wondering if I would ever serve my family a real home cooked dinner again, the Homeschool Review Crew had the opportunity to review MyFreezEasy. Erin Chase rescued my family from fast food and frozen pizza with her MyFreezEasy.com Family Meal Plan Subscription. I had heard of Erin Chase before. I'd even seen mention of something about $5 Dinners but really didn't know anything about her or what she offers. MyFreezEasy is her newest offering and I am in love! One complaint that I hear frequently about making meals ahead and freezing them is that the food often tastes overcooked. It's like eating reheated leftovers. Who wants to eat leftovers every night? Not me. 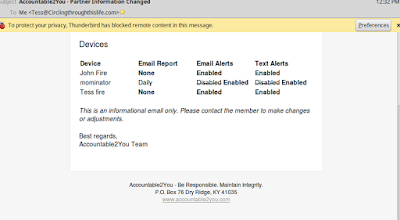 Not my family. But MyFreezEasy is different. Meals are not pre-cooked and frozen. They are assembled and frozen and, for the most part, cooked fresh on the day you serve them. 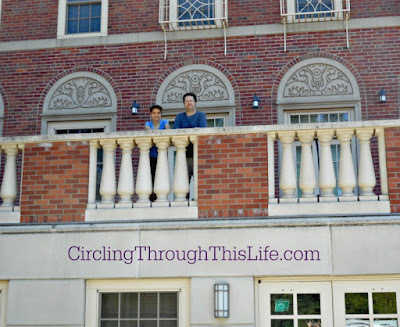 I was a little uncertain about that but keep reading to find out about my experience! 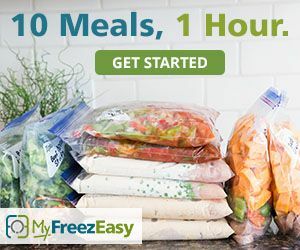 MyFreezEasy is a membership plan that gives you access each month to 8 freezer meal plans. There are two membership levels: Basic and Premium. Both give you access to the same 8 meal plans each month but, the Premium plan gives you the ability to swap out recipes, create customized meal plans and even to mark recipes as favorites. With the Premium Plan, members can also adjust serving sizes! 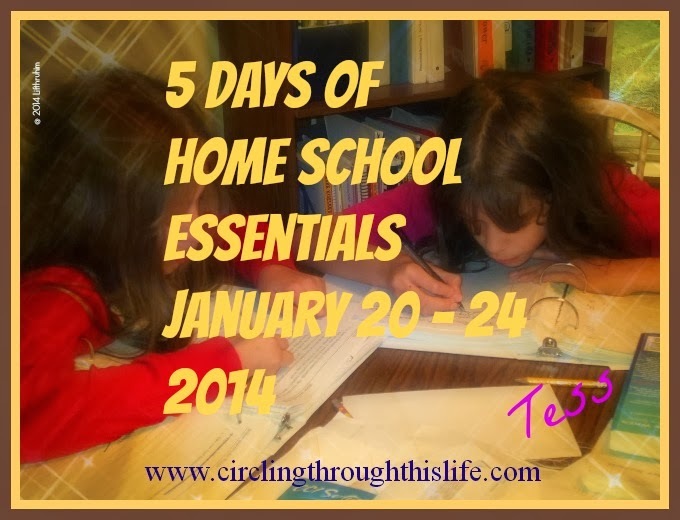 The Homeschool Review Crew received the Premium Annual Membership. Each month members receive an email that the new plans are available. Each meal plan has 5 recipes that make 10 meals except for the 20 meal plan which has 10 recipes to make 20 meals. 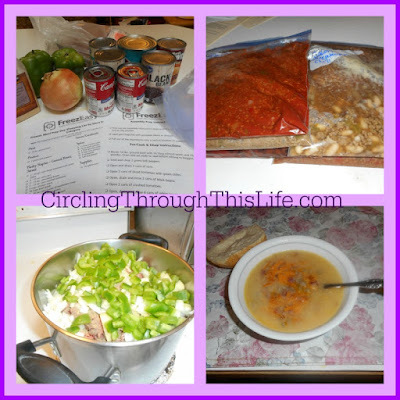 Each recipe is written for 1 meal but includes assembly directions to make 2 meals. I love that it has the entire recipe written out for 1 meal with how to cook it immediately as well as assembly instructions if you want to make 2 to put in the freezer. This means I can test a recipe by making one to determine if we like it enough to include it in both or if I find frozen chicken or hambuger in the freezer I don't know what to do with it, I can thaw the meat and try a new recipe. The meal plans include shopping lists arranged by recipe, by grocery store section, and by assembly day. They also include Assembly Prep Instructions. Meal Plans are available for the whole month but only for the month which means you get new meal plans each month. And those old recipes? They get added to the data base so you have even more recipes to choose from when customizing a meal plan. I was so excited that I started planning right away! For our first freezer cooking session I used the Build Your Own Meal Plan option. 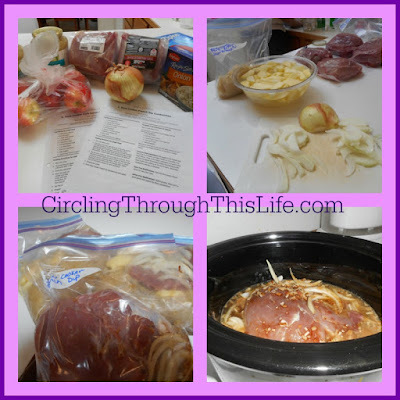 I created an ALL Chicken Plan, an ALL Ground Beef Plan except I included 1 vegetarian recipe. I also found two pork roast recipes to try. I was expecting to get 22 meals into my freezer but I miscalculated the amount of chicken I needed so I opted for making one each of two meals rather than not using a recipe. I did put 20 meals into the freezer. It took much longer than one hour to put these together but I think that has more to do with my lack of organization and my inexperience. The fact that I was working 20 meals made it go longer as well. For my next round of Freezer Cooking I choose the All Ground Beef Meals Plan. I choose to do only 4 of the recipes since the 5th one was one we I chosen before. I only had 6 lbs of ground beef so I opted to 2 each of 2 recipes and 1 each of the other 2 so that I made 6 meals. I also choose 2 different roast recipes for my 4 pork roasts. This went much faster. I paid closer attention to the assembly instructions. It still was longer than hour but it was fabulous to get it all done! This plan has restored order to the chaotic dinner time. I love having a freezer full of meals. This is the easiest freezer cooking method I have tried and the tastiest as well. I was worried about putting the veggies into soup raw. I do not like mushy vegetables in my soup. The vegetables were not mush! Of all the recipes we have tried there has only been one that none of us liked. For most of the recipes, we all have liked them. I found it easy to modify recipes to suit my family's needs and tastes. I'm already thinking ahead to my next freezer cooking session! Several other members of the Homeschool Review Crew had the opportunity to try MyFreezEasy. Click on the banner below to read what they had to say! Well actually she became a freshman Coug! This post is almost 2 months overdue so you'll just have to pretend that it is still mid-August and she just left . . . instead of the reality that is is early October and her mid-terms will be happening soon! Tailorbear needed to be distracted the weekend we were leaving and she didn't want to be home with her two sisters. 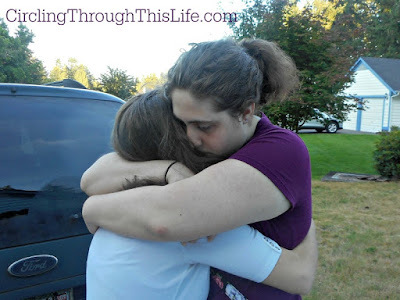 I love this picture of two sisters saying good-bye! Here she is keeping comfortable on the long long drive! On Move-In Day the University has volunteers with carts to help unload your vehicle. We were grateful for the cart and the elevator. She lives on the 3rd floor! 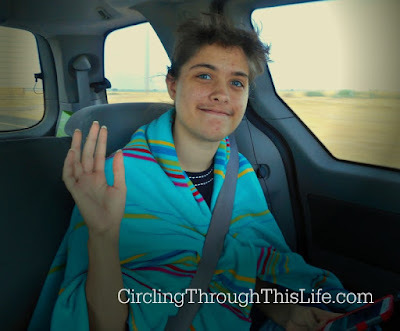 We left her to deal with her own things and headed to our motel room. We had dinner and breakfast with her and I got to take more pictures. 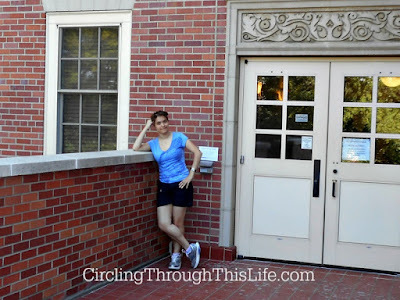 Here she is standing outside one of the doors to her Residence Hall. It really is a beautiful building though we only saw it from one side and the back. 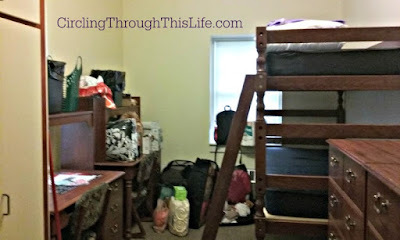 She unpacked her things and started turning her room into her home away from home! Yes her room itself is tiny but it is part of a suite. There are 7 girls who share the suite. The suite includes a kitchenette area with sink, microwave and space for a mini-fridge. There is a also a living room. Each suite has their own bathroom. 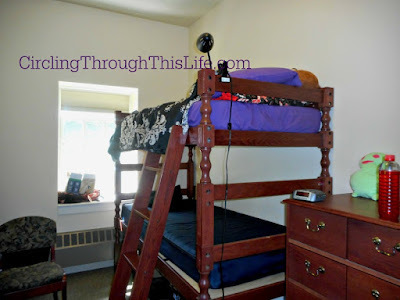 Other residence halls are much more of the typical dorm room style. She's made the transition well. She loves her classes, studies a lot and made friends. She may be a Coug now but she'll always be my little Turtlegirl!